I’m back on a blog tour, the first for 2019! I’m aiming to try and do more this year. Reading is my relaxing time and that bit of me time. Anyway back to the tour. Today it’s my turn for the review of The Orphan Sisters by Shirley Dickson. A wonderful World War II novel. I will be straight to the point. As a mum of two girls this story is completely heartbreaking. I can’t ever imagine leaving my two girls at an orphanage, like the mam of Etty and Dorothy did. But then I don’t live on the cusp of a World War. 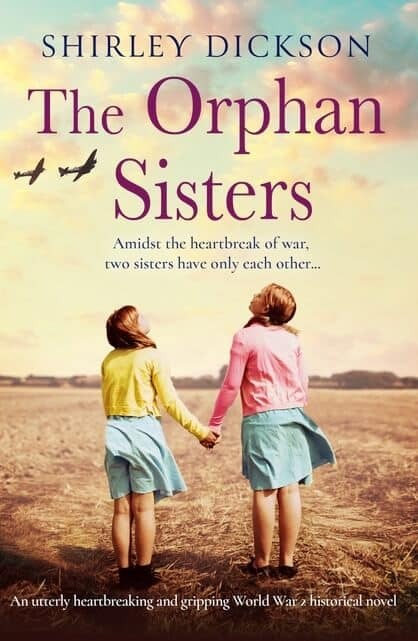 The Orphan Sisters will leave you wanting to hug the sisters and care for them. I have grown a soft spot for Etty with her kindheartedness. For a debut novel, its well researched and you do feel as if you are a character amidst World War II, it’s setting is wonderfully realistic. It’s a perfect read if you have a few hours to spare as you won’t want to put it down. It will get you absorbed into that era. 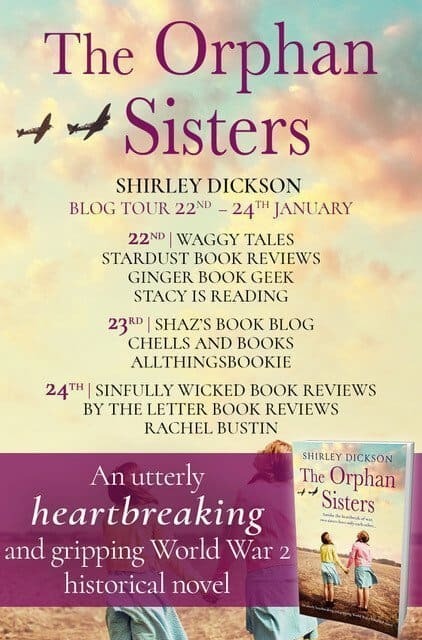 Here are the other blogs on The Orphan Sisters blog tour, why not head over and check out their reviews! Thanks to Bookouture for arranging the tour. And thank you for stopping by today, you can check out my other book posts here. Thanks for the review, I’m always looking for something new to read and this sounds right up my street.